SEBI slams Guj CM Rupani with a Rs 15 lakh fine. Will this mar BJP's fortunes? With less than a month left for Gujarat elections, BJP suffered a major blow after Securities and Exchange Board of India (Sebi), in an order dated 27 October, penalised 22 entities, including Chief Minister Vijay Rupani's Hindu Undivided Family (HUF) for “manipulative trades” in Gujarat-based Sarang Chemicals. Sebi has imposed penalties worth Rs 6.9 crore on these 22 entities. While Rupani's HUF has been asked to pay a fine of Rs 15 lakh, three separate individuals will have to cough up Rs 70 lakh or more. According to the regulatory body, these 22 entities are “connected or related”. When Catch tried to contact the chief minister's office they responded saying the clarification is being drafted by his team. An officer of the CM's public relation office said a meeting was on and a clarification would be issued. PRO Uday Rai and Additional PRO Hitesh Panday were part of the meeting, he said. 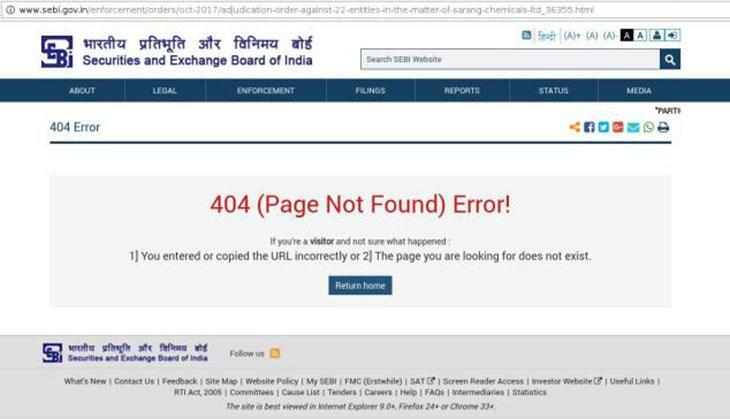 Catch tried to access the Sebi order on its website but it leads to a 404 (Page Not Found) error. According to a Business Standard report, these manipulative transactions were done between January and June 2011 when Rupani was not the chief minister. Moreover, the regulator has asked Rupani to pay the penalty within 45 days while mentioning that the chief minister's company and 17 other entities “had indulged into artificial volume rise/creating misleading appearance of market/getting unlawful or unfair gain”. “The noticee (Rupani HUF) contended that the CD (compact disk) attached to SCN is damaged and it is unable to open the same. Considering the request of the noticee, another CD was sent to him vide communique, dated May 25, 2016, and informed the noticee number 18 that in case it is still unable to open the CD then, its duly authorised person may collect the same from office of undersigned with prior intimation. It was also stated in said communique to provide its e-mail ID. Vide letter dated June 13, 2016, the noticee requested for keeping in abeyance the proceedings till Mr Vijay Rupani recovers. As per medical certificates attached with said letter suggested for rest of eight weeks to Vijay Rupani from May 18, 2016, however, no reply towards the SCN has been received from it/him till date,” the order read, according to media reports. According to Business Standard, SEBI had issued a show cause notice to these entities in May 2016 alleging violations under SEBI Prohibition of Fraudulent and Unfair Trade Practices (PFUTP) relating to the securities market. 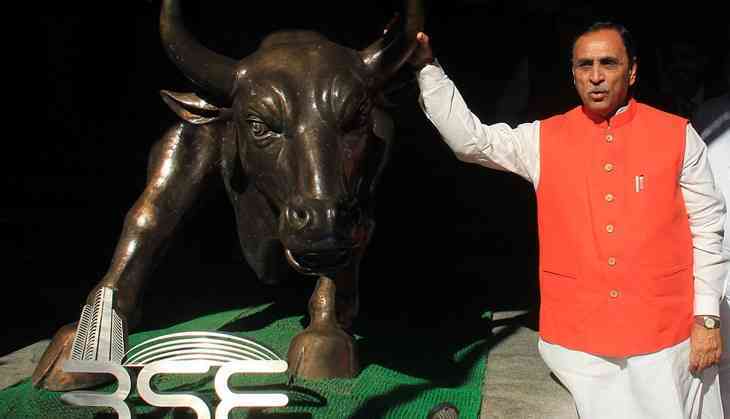 “Sebi says the penalties are “commensurate with the violations”. Among the 22 entities, there are two brokers (noticee number 21 and 22) through whom the trades were executed. They have been asked to pay a penalty of Rs 8 lakh each,” revealed the Business Standard report. “Since the violations against the noticees (the 22 entities) have been established and the same are serious in nature, therefore, I am of the view that monetary penalty under section 15 HA of the Sebi Act (PFUTP) against the noticee numbers 1-20 and monetary penalty under section 15 HB of the Sebi Act (Stock Brokers Regulations) against noticee numbers 21 & 22 are warranted in the case,”reported Business Standard. BJP has been facing considerable political heat in the poll-bound state over the hasty implementation of GST and the dramatic rise in fortunes of a company run by BJP President Amit Shah's son Jay Shah. Earlier, it was reported that the turnover of Jay's company witnessed an increase of 16,000 times within a year. With Rupani now on the dock over manipulative transactions, Congress will certainly not let go of this opportunity to score political points over its arch rivals in the run-up to the Assembly elections. The grand old party which is finally making strides in the poll-bound state is looking to end saffron party's 22-year rule in the western state. Interestingly, since 2002, this is the first time that BJP would be fighting the elections without Narendra Modi guiding its ship. TWEET THIS Another blow for the BJP in Gujarat? SEBI slams Rupani with a Rs 15 lakh fine SEBI slams Guj CM Rupani with a Rs 15 lakh fine. Will this mar BJP's fortunes?